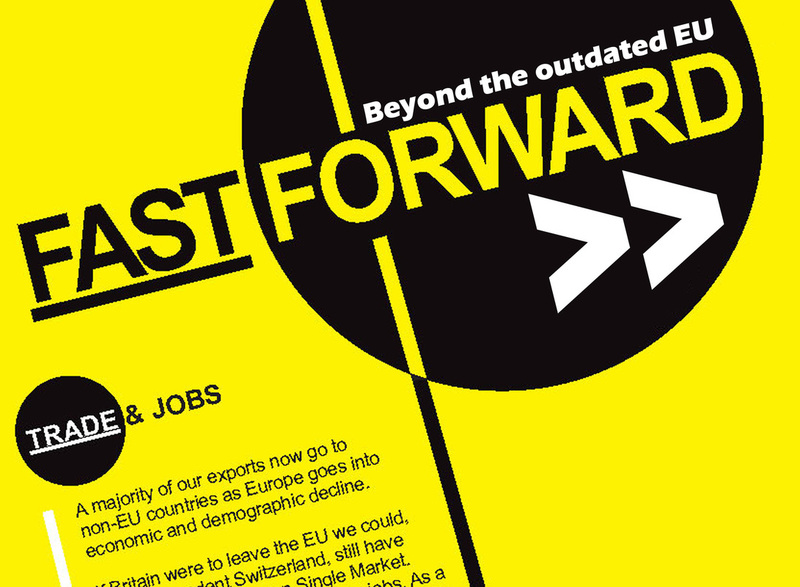 Fast Forward >> Beyond the outdated EU is a striking, three-page A5 leaflet - the first in a Fast Forward >> series - focusing on trade and jobs. It makes the case that for reasons of global change, exports, regulation, influence and future integration, Britain will be better off leaving the EU. For more information about the contents, see Our Case. For more information about the contents or to read online, see Our Case.